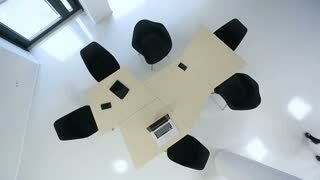 Team of young successful businesspeople meeting at boardroom table discussing financial report. Diverse business people meeting brainstorming team. Colleagues sitting at boardroom table discussing financial report.